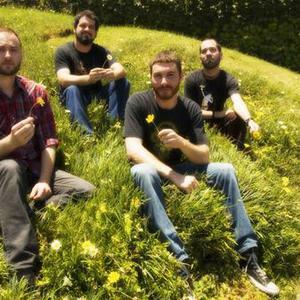 Intronaut is a post-metal band from Los Angeles, California. They play in the style of progressive metal with some harsh vocals, as well as, more recently, melodic vocals and vocal harmonies, combined with progressive and jazzy instrumental breaks. Their sound incorporates traits from prog rock, sludge metal, Indian, African, and Afro-Latin rhythms, as well as a heavy jazz influence. Intronaut features guitarist/vocalist Sacha Dunable, guitarist/vocalist/percussionist David Timnick, drummer Danny Walker, and bassist Joe Lester. They play in the style of progressive metal with some harsh vocals, as well as, more recently, melodic vocals and vocal harmonies, combined with progressive and jazzy instrumental breaks. Their sound incorporates traits from prog rock, sludge metal, Indian, African, and Afro-Latin rhythms, as well as a heavy jazz influence. Intronaut features guitarist/vocalist Sacha Dunable, guitarist/vocalist/percussionist David Timnick, drummer Danny Walker, and bassist Joe Lester. In 2005, Intronaut released a four-track demo entitled Null ? Demonstration Extended Play Compact Disc. They signed to Goodfellow Records in October, and in early April 2006, recorded Void at Shiva Industries in Santa Ana, California with producer John Haddad. In August 2007, guitarist/vocalist Leon del Muerte left the band to focus on his Murder Construct project. He was replaced by Dave Timnick. Shortly thereafter Intronaut toured Europe for the first time, supporting the heavy prog-metal band The Ocean. In mid-2011, Intronaut will tour North America with Animals As Leaders, Dead Letter Circus, and Last Chance To Reason.